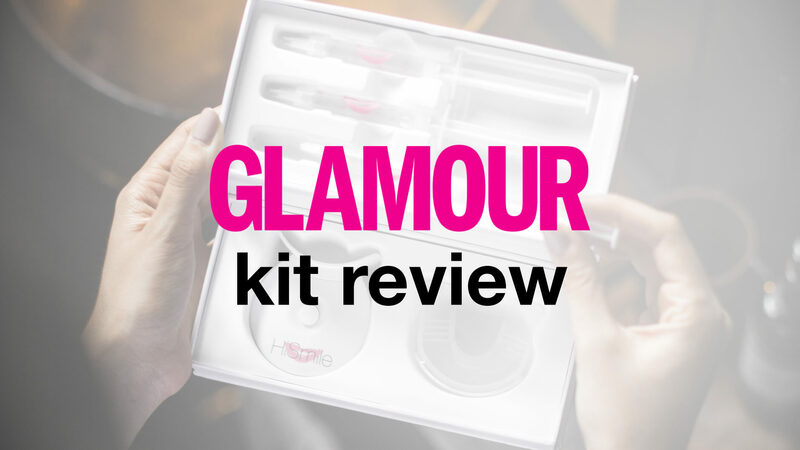 Glamour Magazine website editor Bianca London reviews the Teeth Whitening Kit. Bianca London, website editor for Glamour Magazine, recently tried out our Teeth Whitening Kit. Bianca learnt about HiSmile after seeing Kourtney Kardashian and Kylie Jenner using our products on Instagram. We were excited for Bianca to give it a try for herself, and hear her thoughts. Bianca's goal was to take her smile a few shades lighter and remove coffee and wine stains that had been building up over time. Sensitivity was also a point of concern, after prior experiences with other whitening treatments. She completed her applications before bed and was impressed at how easy the process was. "The 10 minutes flew by. I have super sensitive teeth, and I didn't feel a thing. It really couldn't be much easier." At the end of her cycle, Bianca told us how impressed she was with the results she achieved. "They'd lightened by a few shades, and I particularly noticed how they were brighter in photos." The all-in-one list of what food and drink to avoid to get the best whitening results.